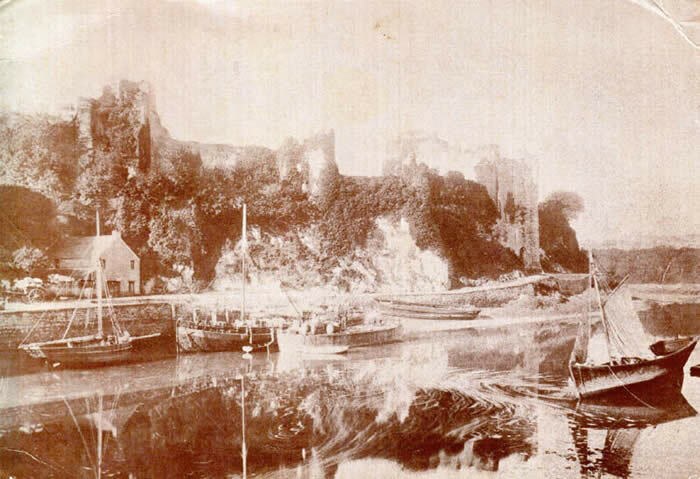 Pembroke is a medieval town dating back to the Norman Conquest, and is still dominated by its Norman Castle. After the Civil War in 1648 the Castle was slighted by Cromwell. The ivy clad ruins, still majestic, captured the interest of artists who came to paint it including J M W Turner. Fortunately the Castle was bought and extensively renovated by Sir Ivor Philipps in the late 1920s and is one of the tourist attractions of Wales. and a little distance away in Monkton, remains of its medieval abbey buildings. Hard to believe now, Pembroke was a great port which grew prosperous in the middle ages due to its royal charters and privileges. Even in the 18th Century, it was declared one of the richest, flourishing ports in South West Wales. All gone now, but memories remain of the once flourishing coastal trade. The Kathleen & May made that last trip in 1960, still held in great affection by Pembroke people. A mill once stood on the Mill Bridge, old stone buildings stood along the quayside … all gone now. Now a barrage acts as a barrier to shipping but the annual River Rally reminds us of those times and gives new life to Pembroke. The historic core of Pembroke, Main Street, may have seen more prosperous days but in essence not a lot has changed. 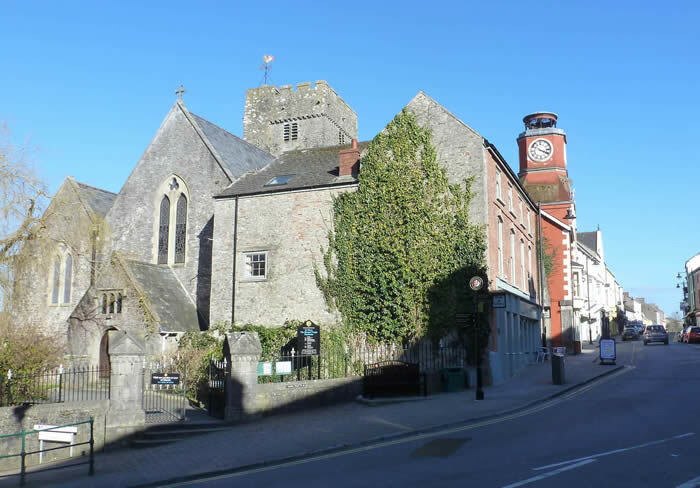 Pembroke, perched on a narrow limestone headland, has one long street surrounded by town walls.